With those words, our interim CEO, David Arons, set the stage for the first-ever Grey Gala last week in what would be one of the brightest nights of the year for the National Brain Tumor Society, all of our supporters, and so many of our friends in the brain tumor community. Set quite literally atop the Boston skyline – the global hub of life science and biomedical research – at the illustrious State Room, a diverse community of brain tumor patients, survivors and their families, as well as leaders in research, medicine, policy, and business came together for a special evening that would honor and celebrate the strides being made against this disease through the dedication of so many. More than a fundraiser, we wanted this inaugural event to be a time for remembrance of those we’ve lost to this dreaded disease; a time of recognition for the contributions of a great number of individuals, groups, and organizations in furthering our collective cause; as well as an opportunity to share in the courage, inspiration, and hope that will lead us to a cure. Myself and the rest of the staff at NBTS are humbled every day by the passion and dedication of our volunteers and supporters – whether they are survivors helping at registration for one of our Brain Tumor Walks, Races, or Rides, or a leading researcher donating their time to participate in one of our initiatives. With the Grey Gala we were able to share many of these stories and let your voices carry to catalyze even greater impact for this community. This was our moment to celebrate and honor YOU. YOUR efforts are making a difference, and that difference was on display at the Grey Gala. W.K. Alfred Yung, MD of MD Anderson Cancer Center and Roger J. Packer, MD of Children’s National Medical Center, who received our Founders Awards, for their leadership in the fields of adult and pediatric brain tumors respectively. Our Community Leadership award recipients, NBA Hall of Famer and Boston Celtics superstar, JoJo White, who has continued to raise awareness and funds for brain tumor research since his diagnosis in 2010, and serves as the honorary chair of the Boston Brain Tumor Walk for the second year in a row, as well as Ken Burns, Barak Goodman, and Siddhartha Mukherjee, whose documentary, “Cancer: The Emperor of All Maladies,” brought great awareness and hope to the progress being made in treating this disease. Our board member, Cord Schlobohm, who provided our mission moment, by telling us the story of his daughter Sydney, and his family’s journey with pediatric brain cancer. The story, complete with photos of his daughter, impressed that brain tumors affect us all, and that it is only through our continued efforts that new treatments will be researched and available. Congressman Joseph P. Kennedy III, who joined us by video message, thanking NBTS and all of the brain tumor community for their efforts and, as the great-nephew of late Senator Ted Kennedy, relate his own sad connection to this disease. Ken Grey, who was honored for his years of leadership as a member of the board of directors and tireless efforts. His event Team Billy, in honor of his late son, is a major fundraiser for brain tumor research. While his time on the board is at an end, he continues to be a driving force for change. Of course, none of this would have been possible without the help of our sponsors, whom I would be remiss if I left out. Special thanks to Colony Group for their generosity, Fidelity Investments (silver sponsor) and our steel-level supporter, New Star Financial. Our pewter-level sponsors are, Brigham & Women’s Department of Neurosurgery, DelMar Pharmaceutical, Fiduciary Investment Advisors, Lowenstein Sandler, NICO, Sally Curtin, and Shelia Killeen. In-kind partners were Beantown Swing Orchestra, Garnick Moore Photographers, Goodcopy, Icelandic Glacial, Land Escapes Design, Inc., and PSS MOBILeTY. WCVB-TV was the media sponsors. We are honored by your continued support and we are looking forward to doing our part to transform tomorrow, today! 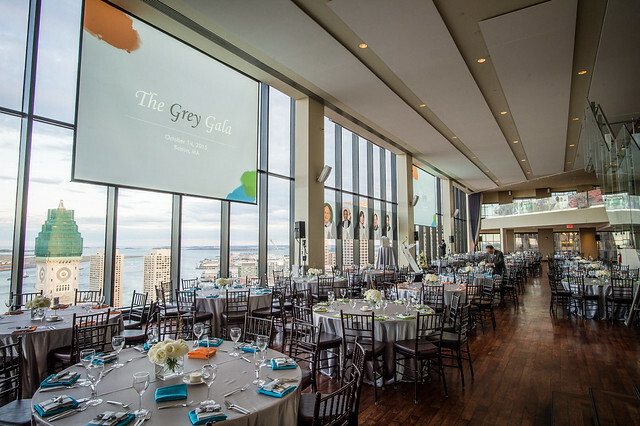 To Read More About the Grey Gala, Please See our Official Press Release.